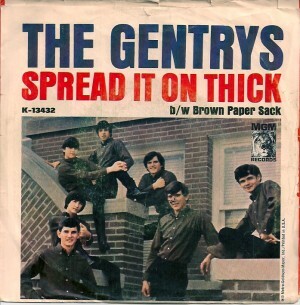 I really believe this band got cheated out a of much brighter career due to MGM’s mess up. 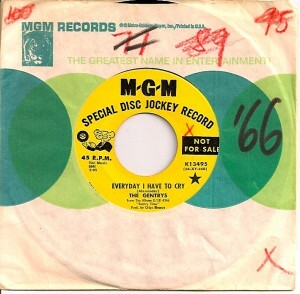 After having a monster smash (#4) with ‘Keep On Dancing’, one of several local garage band records that caught on regionally, in hometown Memphis, and being quickly scooped up by a major, the single continued it’s ascent to success. Produced by ‘about to be’ super succeassful Chips Moman (The Box Tops, Merrilee Rush, Sandy Posey, Joe Tex, Wilson Picket, Herbie Mann), the label awarded the follow up, ‘Spread It On Thick’, with a full color sleeve (indicating ‘let’s go for it’), but confusingly the equally strong B side ‘Brown Paper Sack’ was afforded premier biling on the other side of the same sleeve (see above). Talk about mixed signals. 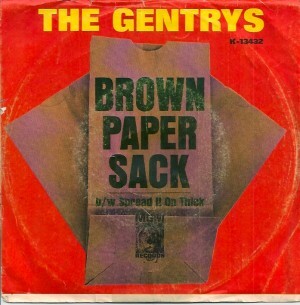 Some stations played one side, some the other – immediately splitting airplay reports and sales tallys, thereby watering down either song’s visibility to the all important, major market, tight playlisted Top 40 stations, most of who would seldom jump on a single until it reached at least #40, and then only if accompanied by that infamous brown paper sack. And so the unravelling of a strong future began. “Spread It On Thick’ peaked at #50. while ‘Brown Paper Sack’ (the song not the well known, aforementioned envelope slipped to radio PD’s and MD’s with a few honey bees inside. Yes, it’s called payola – still is) stalled at #101. Obviously there were many empty brown paper sacks from MGM for this one. Somebody at MGM believed in The Gentrys and had juice, as they were allowed to struggle along, releasing more good singles and a second album, GENTRY TIME, from which ‘Everyday I Have To Cry’ comes. No idea whatsoever where I picked up the promo of this, but only just now realized it must have come from a radio station library, and indeed one that used the Billboard chart positions as reference. Have a look at each number crossed off in red. It’s the record’s chart progression on the Hot 100, when in it’s final week, whereby it peaked at #77, there are a couple of black, instead of red, lines through the number. Was the station’s coding system to use black as a way to indicate a record’s position during it’s final week? Who knows, but I like to speculate yes. NO ONE else on earth would care mind you. I certainly heard this more than a few times on the air, and went for it straight away. 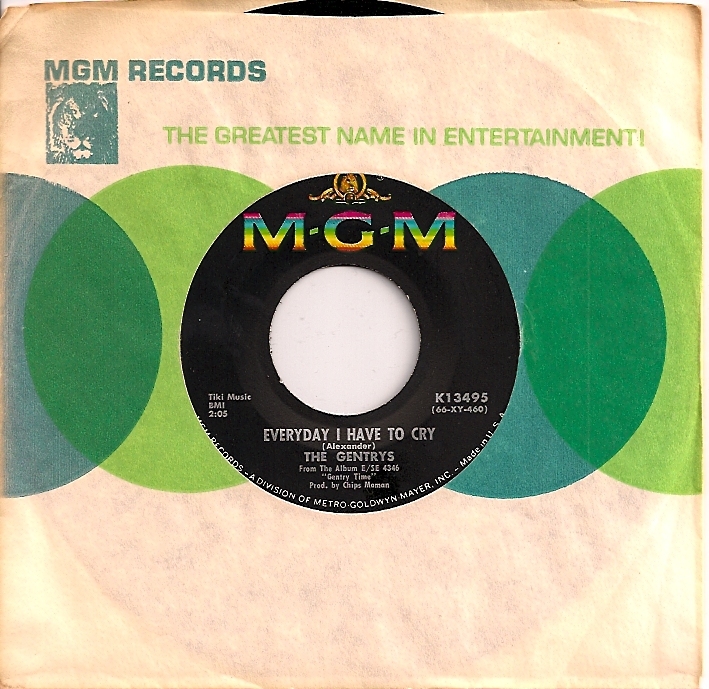 What a great song, right down to the untouched Memphis accents.